Slots of Vegas collects two different forms of personal information – log file analysis information (‘Traffic Information’) and visitor registration information (‘User Information’) – including personal information such as name, phone number, and email address. By visiting and signing up with slotsofvegas.com you are agreeing to your disclosure of this information. slotsofvegas.com routinely gathers Information on Site activity, such as data on how many people visit the Site, the pages they visit, where they come from, how long they stay, etc. slotsofvegas.com collects certain technical information from your computer each time you request a page during a visit. This information is collected from your computer's Web browser to enhance your experience on our site and may include your IP address, operating system, Web browser software (e.g., Netscape Navigator or Internet Explorer), screen resolution, and referrer Web site. slotsofvegas.com may ask you to provide User Information, to register for an account or participate in contests or promotions. The information requested may include your name, address, e-mail address, shipping information, phone number, credit card or other payment information. User Information is collected only when Site visitors voluntarily provide it. It is not necessary to provide any User Information to simply browse the Site. slotsofvegas.com may have inbound links from other websites, including affiliate partners. These sites have their own Privacy policies, which do not apply to slotsofvegas.com. We release Information when we believe release is appropriate to comply with law, to enforce or apply our Terms and Conditions and other agreements, or to protect the rights, property, or safety slotsofvegas.com, Site users or others. This includes exchanging Information with other companies and organizations for fraud protection and credit risk reduction. As a registered user, you may receive e-mails or phone calls from us about special promotions, surveys, contests, sweepstakes, newsletters about Slots of Vegas and its marketing partners. We may also use your e-mail address or telephone number to contact you about changes to your account. To assess the effectiveness of these e-mails, we may attach a trackable URL (on an image within the email) that provides confirmation when you open an e-mail. This only occurs if your computer supports such technology. To protect your right not to provide us with this information, modern e-mail clients, such as Outlook, only send this tracking information to us when you have enabled such a feature, as it is disabled by default, in your mail client tool options. slotsofvegas.com values your time and membership and will thus aims to follow all marketing protocols with due respect to you the user. If the user requests to not be contacted via a certain method, we will make all due efforts in order to abide by the user’s wishes. 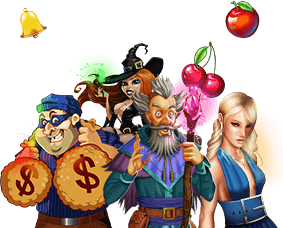 All transactions and Player activities within the member’s area of Slots of Vegas are fully encrypted with 256 bit SSL Security certificate. This means that Slots of Vegas deploys similar security to that of most financial institutions and guarantees the safety and privacy of all its members and their information. However, no data transmission over the Internet can be guaranteed to be completely secure, we cannot guarantee the security of any information you transmit to us, and you transmit such information at your own risk. Our Network security team is constantly seeking out the newest and best security programs and protocols. Security of information is of paramount importance to slotsofvegas.com.